Foundation paper piecing allows you to piece small pieces and irregular shapes easily, however it requires a new paper template for each block you make. 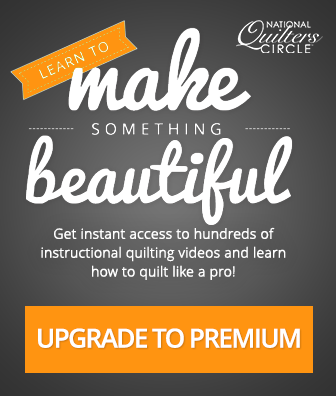 Ashley Hough shows how to use a paperless paper piecing method that allows you to reuse your template several times. 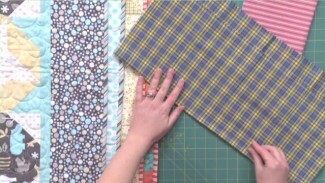 For this paper piecing technique of paperless paper piecing Ashley uses freezer paper, however she explains that wax backed parchment paper can also be used. Ashley explains that the first step in this paperless paper piecing method is to transfer the paper template onto the paper side of the freezer paper or parchment paper. This can be done by simply tracing it. She then shows how to begin by using an iron to temporarily adhere the paper to the fabric. The waxy side of the paper will stick to the fabric but can be easily pulled away when needed and will not leave any residue on the fabric. She then shows how to fold along the line between the first and second sections. 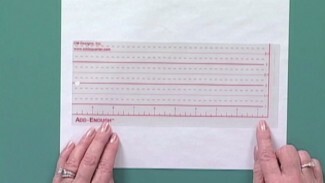 Ashley gives a tip on how to ensure that your fold line is straight by using a ruler as a guide. Once the paper is folded, the initial fabric is trimmed away ¼” from the fold. Ashley then shows how to stitch the second piece in place, leaving the paper folded so that it is not caught in the stitching. After it is stitched in place, Ashley demonstrates how to unfold and adjust the paper and fabric and fuse the next section of the fabric to the paper. 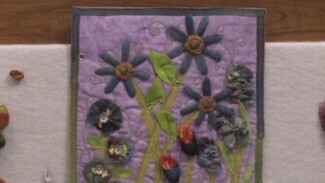 She continues on demonstrating this paperless paper piecing method several times. Once completed she shows how to simply peel the paper template away from the fabric. The template can be reused as many times as you want as long as it continues to adhere to the fabric. Heather Thomas adds dimension with an applique of cocoons and silk carrier rods. You will learn how to make roush and gathered flower. Make sure to soak the carrier rods in water to soften the fibers and saracen before using them.